View More In Heaters & Accessories. 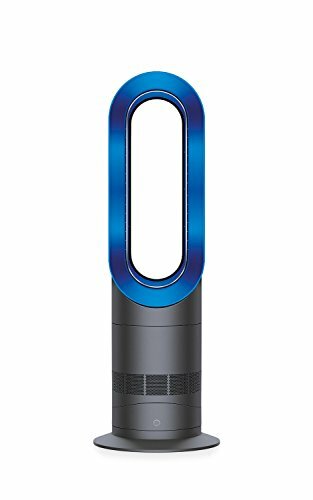 Fast, even room heating paired with powerful personal cooling makes Dyson's AM09 fan heater effective all year round. Through Dyson's Air Multiplier patented technology, the AM09 fan heater creates a powerful stream of uninterrupted airflow into the room for either jet focused, powerful airflow or diffused, wide projected airflow to mix the surrounding air. The precise, energy efficient fan heater is awarded the Quiet Mark accreditation and has features including sleep timer, oscillation control, no fast-spinning blades for little fingers or paws and has a curved, magnetized remote control to store neatly on the machine. Patented Air Multiplier technology effectively projects heating or cooling into the room quickly and evenly for a comfortable environment.